The Mojo Tribesmen just completed their Adrenalin filled Jungle Trail. We ask one of the members few questions about the trail. The tribesman’s name is Mr. Likith Bangera. He is a freelance Market Research Executive and also a Fitness professional apart from being an avid traveler and an adrenaline junkie. How does it feel to be a part of an exclusive group riding same machines exploring the secluded trails? The Jungle Trail was definitely — once in a lifetime experience. This is the first time that I went for a ride with such a large group. 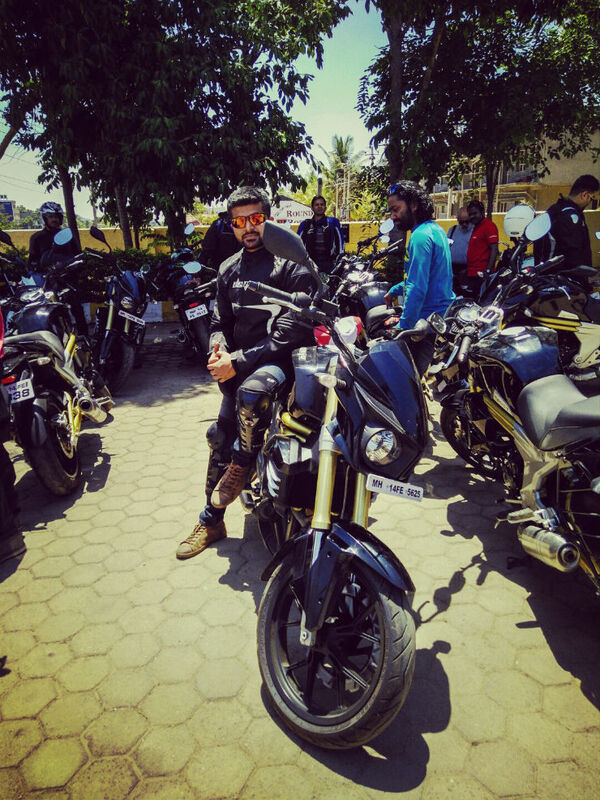 I travelled all the way from Mumbai to Bangalore for the ride and it was amazing. I got more than expected and made some good friends. The Jungle Trail was an excellent and amazing experience. The ride was planned wonderfully and I could not ask for anything more. However, the pricing should be slightly lowered so that more people can join such incredible rides. Which was the best part of the Jungle Trail? The selection of roads was amazing. We had a supporting team with back-up vehicle in case anyone was lost or left behind. Further, the organizing team comprised of experience people with lots of expertise. They told us about the enormous effort and research that went into making of the Mahindra Mojo, which I truly appreciated and found extremely informative. Which feature of the Mojo did you find most interesting and useful during the Jungle Ride? The best part about the Mahindra Mojo is that it offers good speed along with excellent comfort. One doesn’t fell stress on the back even if they have been riding continuously for few hours. How was Mojo different overall during such an experience? Mahindra Mojo is definitely different from all the other two wheelers that I have rode till date. It has style and looks good. The look is bulky and macho which I like.